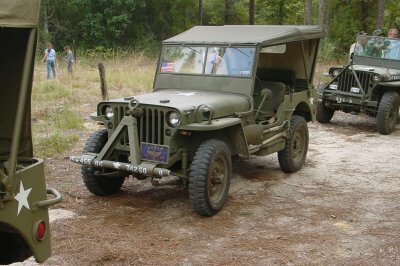 Crawfordville video1 Crawfordville video2 On board: Christina, my daughter, in the front passenger seat and my son Rob and his girlfriend Amy in the backseat, and I as USAAF Capt driving the jeep. Unfortunately, no digital pictures were taken. Once the regular photos are developed I will add them.